The World of Patachou Blog | Public Greens Downtown Location Now Open! The World of Patachou Blog / Public Greens / Public Greens Downtown Location Now Open! 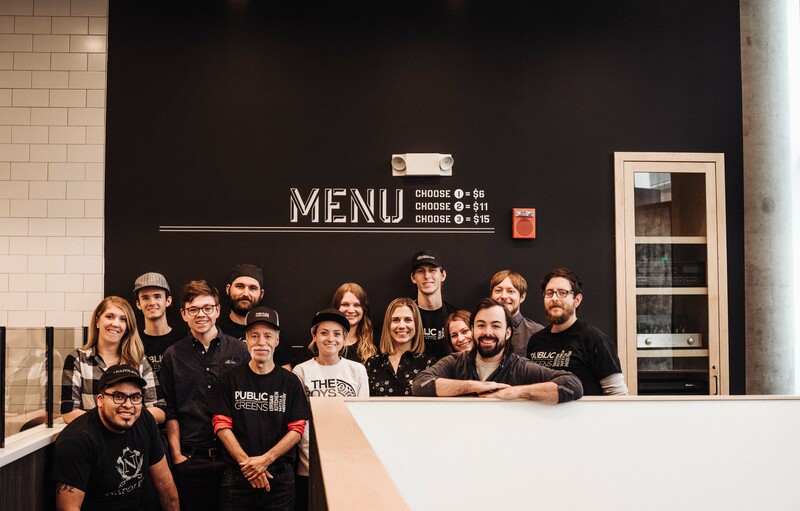 Public Greens Downtown at Cummins Inc. is now open, making it Patachou, Inc.’s third Public Greens location! 301 E. Market Street, Indianapolis, IN 46204 Suite 126. The new Downtown location will serve Breakfast, Lunch, and Dinner from 7 a.m. to 8 p.m. Monday – Friday, and 8 a.m. – 4 p.m. on Saturday & Sunday.